Posted on January 25, 2018 by treelawyer	tagged. The Super Bowl will be upon us before we know it, and everyone we know is already excited beyond all reason that the New England Patriots, who haven’t played in the Super Bowl since 12 months ago, are going to face America’s favorite team, the Philadelphia Eagles. 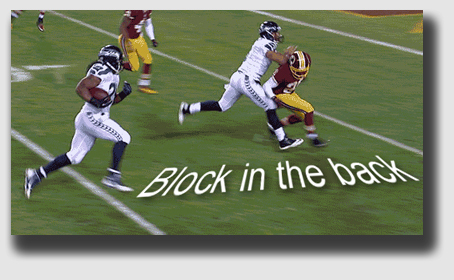 In our occasional shameless attempts to capitalize on the media event of the year, we review the old 15-yard standby, clipping. The clipping in today’s case was done not by a offensive player, but rather by an electric utility. Tree trimming along and under an easement to protect power lines is typically done according to standards set by the North American Electric Reliability Corporation, known as NERC. Standards for tree trimming sound dry to you? Maybe a little looting, people trapped in elevators, and a power outage affecting 50 million people will get your attention. 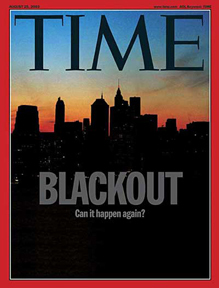 The great blackout of August 2003 had many contributing causes, but it all started when power lines – sagging in the heat of the day and under the load put on the system – became entangled in poorly-trimmed trees. OK, tree trimming is important work. And so it was in Louisiana. It seems that a road was widened, and power lines were relocated as a result. The electric utility came along to clip vegetation along the route, but ran into Mr. James, who objected to the vigorous removal of trees and brush. He kept running the crews off, until the utility sued for a ruling that it had an agreement with the city that superseded Mr. James’ complaints. That’s where things got interesting. Mr. James and the utility signed an agreement that permitted the utility to trim back to the historical trim limits or to an established limit according to the kind of tree. No sooner was the ink dry but Mr. James argued that the utility had violated the deal. He sought all sorts of damages — even emotional distress — for the alleged violations. The utility of course loaded up at trial with three of four experts, who carefully showed that the trees were cut back to their historical trim point and no more. The trial court found for the utility. On appeal, the Court agreed that despite all of the tort theories and general complaints alleged by Mr. James, because he had signed the deal with the utility, the only question was whether the deal had been kept. And as for that, the utility’s thundering herd of experts trumped Mr. James’ speculation. With the new NERC reliability standards requiring more aggressive vegetation management, it is likely that clashes as to the extent to which utilities may trim will be more frequent and substantial. Thus, there are likely to be more Mr. James v. Entergy battles throughout the country. Entergy Louisiana, Inc. v. James, 974 So.2d 838 (La.App. 2 Cir. 2008). In 1991, Highway 143 — located next to Tupaw Manor Apartments — was widened. Entergy’s distribution lines ran along Highway 143 and, with the widening of the highway, several poles were relocated. Three poles were placed so that the lines crossed the highway diagonally to the southeast corner of the apartment complex. The distribution lines at issue were contained within what Mr. James, the owner of the apartments, characterized as a “green zone” that buffers the apartment complex from the highway traffic, adding to the aesthetic value of the complex. Tree trimming – boring. 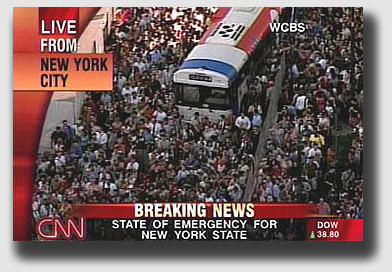 Mass panic – not so boring. Entergy hired West Tree Service to trim vegetation encroaching on electrical distribution lines, the work to be done in compliance with Entergy’s “Distribution Vegetation Management Line Clearance Specifications” (“Clearance Specifications”) on file with the Louisiana Public Service Commission. During August 2004, another subcontractor sprayed the area with herbicide. Then, West cleared vegetation that had been sprayed and performed additional trimming on Mr. James’ property as per Entergy’s contract. Mr. James objected, but the West crews made several additional attempts to trim vegetation on the property. Unable to obtain consent from Mr. James, Entergy filed a petition asserting that it had an agreement with the city of West Monroe to operate electric facilities within the city and had a right-of-way easement onto Mr. James’ property for maintenance purposes. Mr. James answered and demanded damages in excess of $410,000. He claimed that Entergy engaged in the clear-cutting of trees, harvesting and removing over 200 trees, far in excess of the allowed or agreed upon width of trimming. Prior to trial, the parties entered into a stipulated declaratory judgment in which they agreed that Entergy has the right to maintain all of its electric distribution lines and poles by trimming any encroaching trees, limbs, shrubs and other vegetation within 10 feet of Entergy’s lines in accordance with modern arboretum standards and as specifically outlined in Entergy’s Clearance Specifications, and as long as Entergy complied in good faith with the vegetation maintenance standards, Mr. James would have no right to prohibit with Entergy’s reasonable and necessary trimming of encroaching trees, limbs, shrubs and other vegetation along its distribution lines. The Clearance Specifications provided that all trees at a minimum would be trimmed back to the previous trim point or according to a table, whichever was greater. The table provided that slow growth trees in rural settings would be trimmed to 10 feet and fast growth trees in rural settings would be trimmed to 15 feet. An exception would be made where there was a customer refusal where procedures outlined in the Clearance Specifications have been followed, provided that the exception would not result in unsafe conditions or jeopardize reliability. Mr. James argued Entergy could only trim to an indefinite width depending on the extent to which it had actually claimed and used a right-of-way in the past or 10 feet under the Clearance Specifications. Mr. James alleged that Entergy exceeded the allowable width, causing damage to the aesthetic value of the “green zone” around the apartment complex. Mr. James filled out a Tree Cutting Refusal Form expressing his objection to having any trees removed, which he contended requires Entergy to then seek a court order to continue trimming. Entergy’s letter to Mr. James noted that the trimming was necessary to ensure safe, reliable electrical service to the area, including the apartment complex. Entergy sued to get the court order. At trial, Entergy provided detailed testimony regarding the existence of a prior trim point, and that all trimming was within that point. Mr. James provided testimony that there were log trucks being loaded with cut trees coming and going from the property, which was contradicted by West employees. The trial court framed the issue as whether Entergy had complied with its Clearance Specifications in performing the trimming, and found that Mr. James failed to carry his burden of proof and was, therefore, entitled to no damages. He appealed. Held: Entergy had the right to trim the vegetation. The Court concluded that the stipulated declaratory judgment signed by the parties prior to trial controlled the allowable trimming width of the vegetation on the James property. Thus, the issue was whether Entergy complied with its Clearance Specifications. Entergy produced several qualified witnesses, whose testimony was thoroughly outlined by the trial judge, who found strong evidence of re-sprouts and prior trim points. The Court found no abuse of discretion. Although the Court noted that the Clearance Specifications might, in certain circumstances, lead to unauthorized, increased and unchecked trimming on private property, it concluded that under the specific facts of the case, Mr. James was bound by the stipulated declaratory judgment.